Lone Star Muscle Cars Is Proud To Present one of the coolest little trucks you can buy. 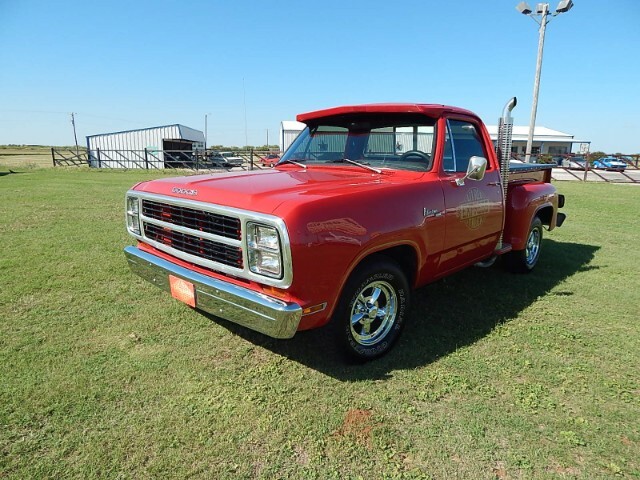 This 1980 Little Red Truck Tribute Is a blast to drive with less than 5000 miles on the motor and only 600 miles on the transmission this little dude is ready to roll. As you can see from the photos it is painted in bright red with the wood custom sides and all the decals and of course the true duel stacks. New Wheels and tires this is a must for any mopar collector. Call For More Info. Message: Thought you might be interested in this 1980 Dodge D150.